Want to make your bathroom a cozy and stylish place that gives you a boost of energy and cheerfulness in the mornings? Use brightly-coloured accessories! 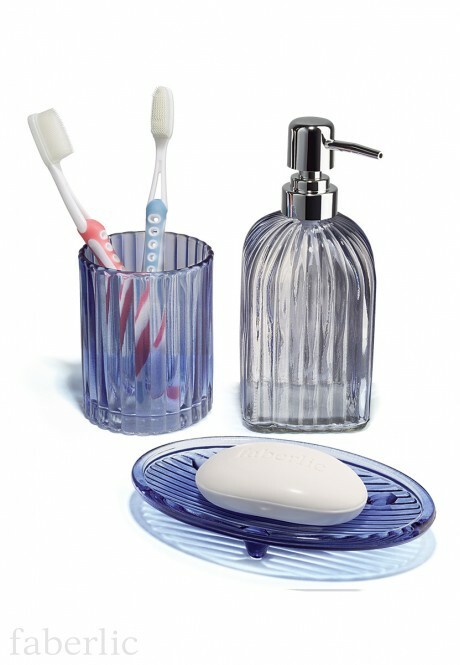 This stylish bathroom set , made in blue, with unique texturized surfaces, is a bold and practical solution for you. Liquid soap dispenser – 7,5 х 19 cm. Toothbrush holder – 8 х 10 cm. Soap dish – 5,5 х 10 х 2,5 cm.